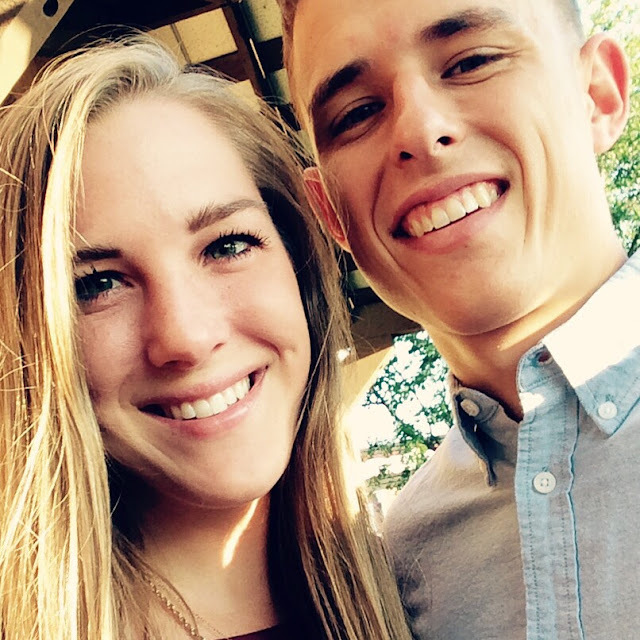 Between night flights and duty, I've seen less of that handsome husband of mine than usual. A much needed date night was just what the doctor ordered! We went to Logan's Roadhouse, and to my delight, they had chicken fried steak on the menu! Yall, I have been searching for a good chicken fried steak since moving to Virginia over a year ago. This plate made me so happy. In the words of Tom Haveford, treat yoself! We received pictures of the babies we sponsor, which is always a happy mail day! 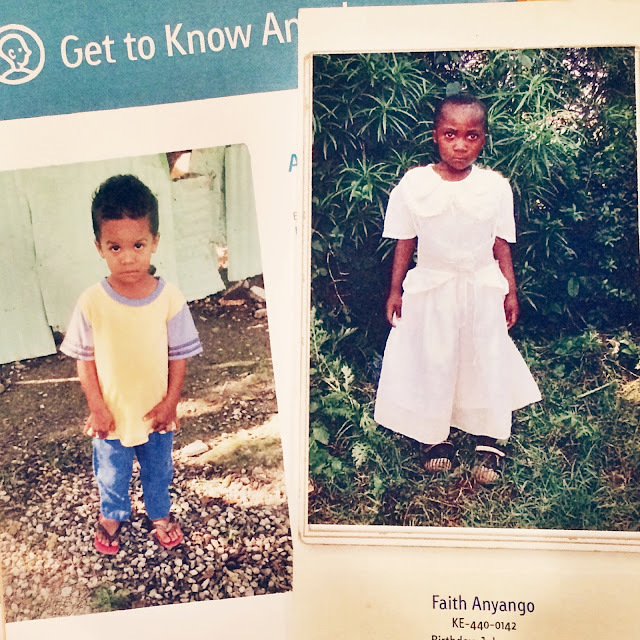 Angel is from the Dominican Republic and Faith is from Kenya. If you're looking into sponsoring a child, we have really loved Compassion International. I busted out the new ice cream maker and made my first ever homemade ice cream! 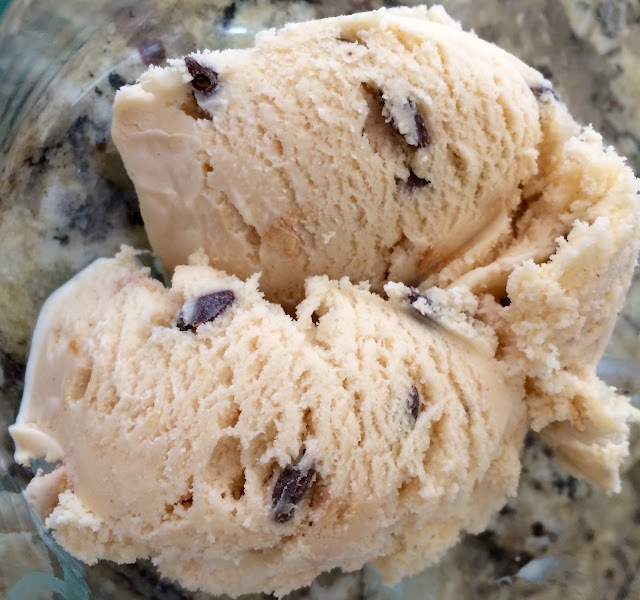 This is peanut butter chocolate chip, and our tummies thoroughly enjoyed it. 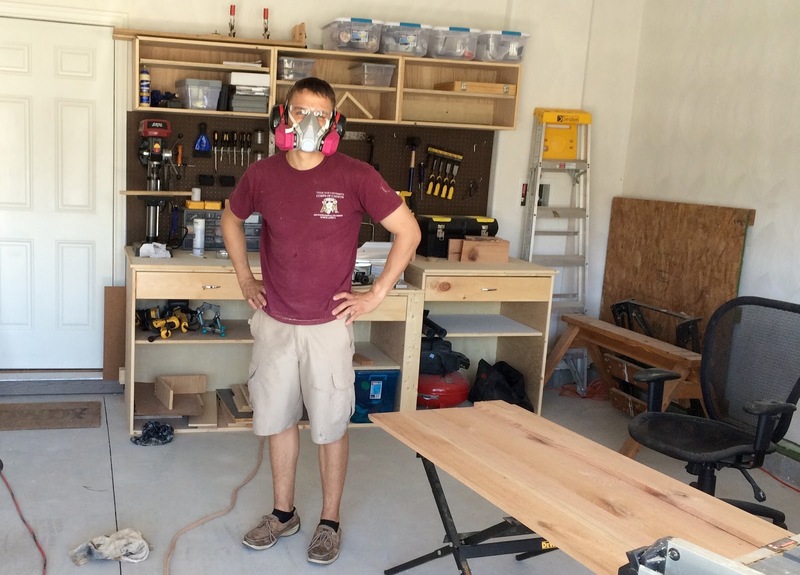 When Parker has free time (which has been sparse as of late), he can be found in the shop building something. He just bought a respirator for safety and was less than pleased to be photographed wearing it. Apparently sawdust has been linked to cancer, so safety first! 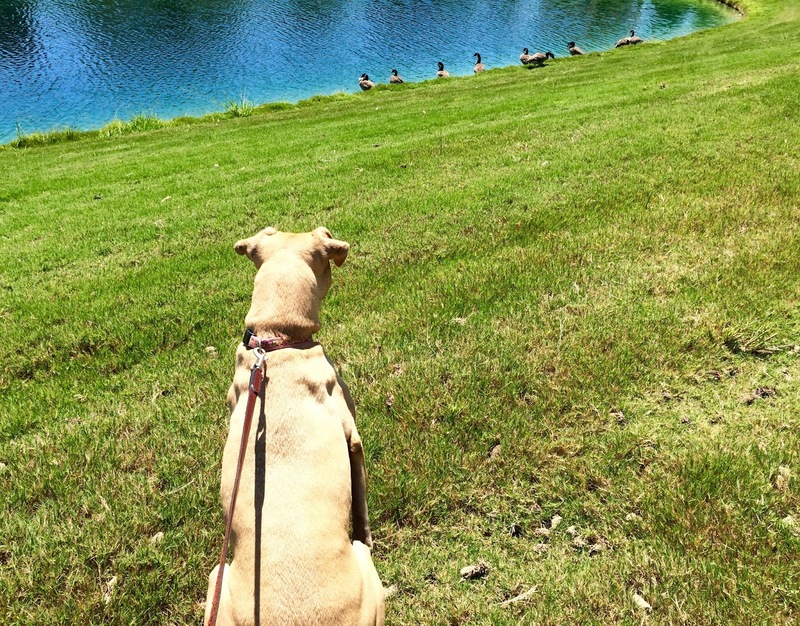 In the world of Jenny, life has been peachy. She spent some time facetiming her cousin Sully. It was a deep, meaningful conversation as usual. In other Jenny news, sometimes she gets a piece of turkey dog broken into small pieces in her food. 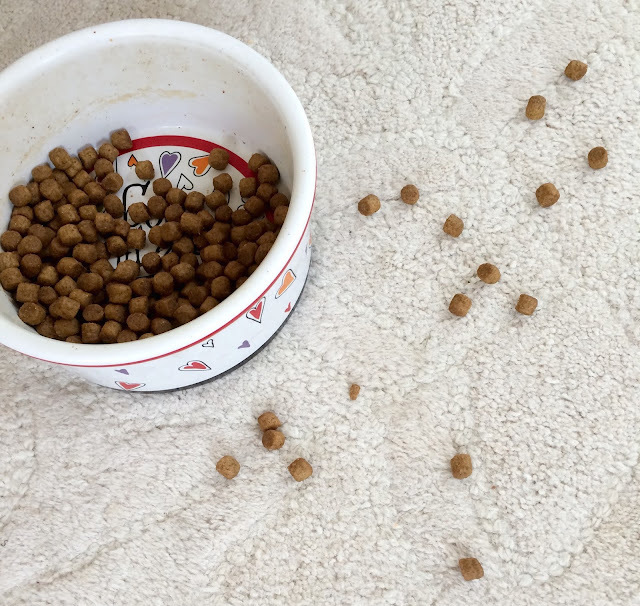 She has now decided to take any kibble she deems an obstacle to reaching the hot dog pieces from her bowl and set it on the ground. Smart, but annoying nonetheless. 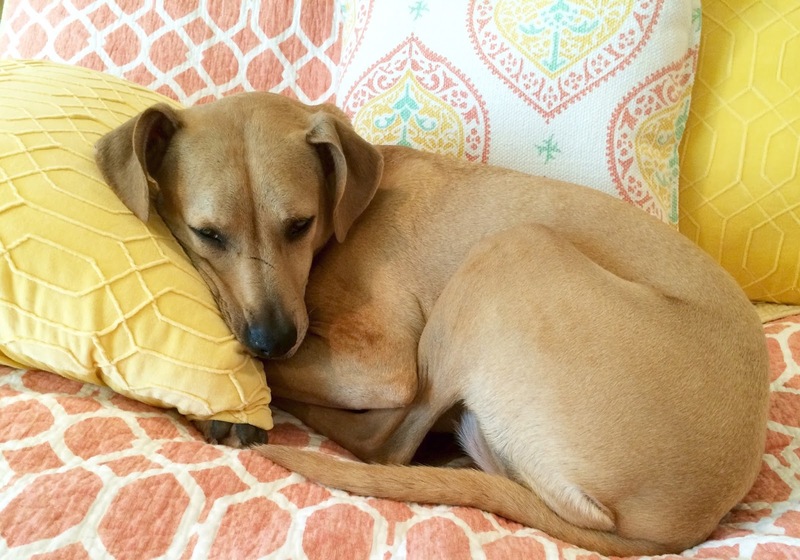 And I'll leave you with a picture of a dog using a pillow like a human. You made that ice cream?! Delish. 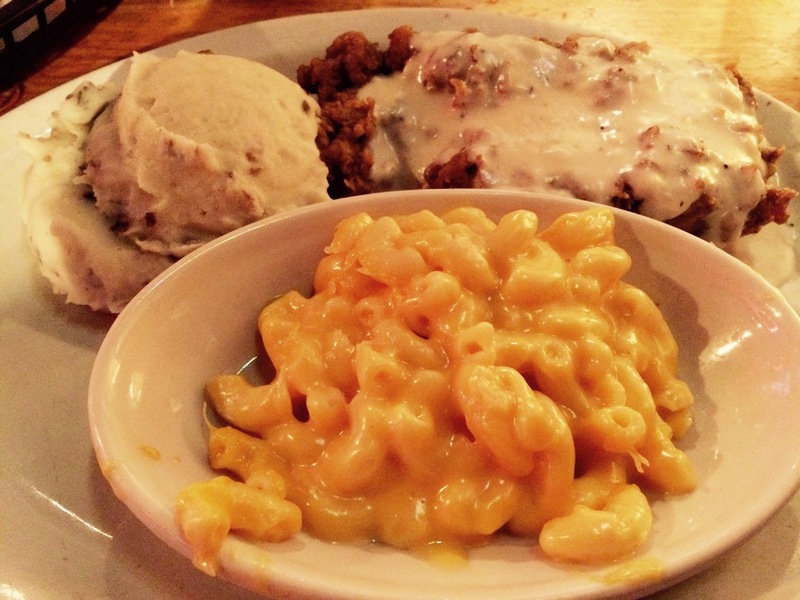 So glad you found chicken fried steak! I bet it wasn't as good as it is in the true south. I love that Jenny and Darla skyped. Too cute! Come link up today. K we have thought about buying an ice cream maker but didn't know if it was cheaper then just buying a gallon of ice cream! Thoughts? It looks super delicious though! We sponsor two kiddos through Compassion as well! It's great! :) Also, that ice cream looks and sounds SOOOO good. Yum! I wish I had an ice cream maker, but the last thing I need is another kitchen appliance, haha. I use a respirator too - any time I'm working on anything in the garage! It's kind of annoying (and definitely SO stylish) but worth it! Your compassion kiddos are adorable! Ours is almost all grown up and through with the program, crazy! 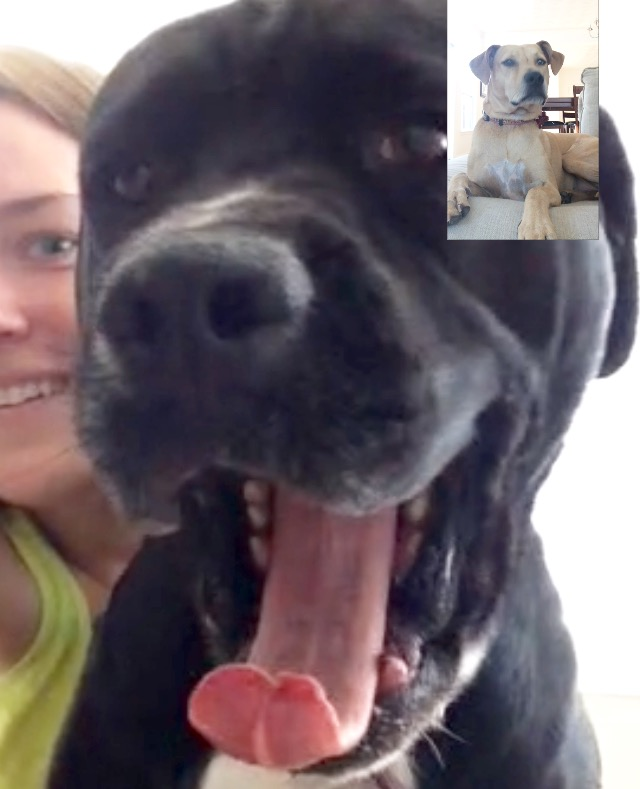 I love that Skype your dogs. Our pups use pillows like humans too. Grace also is a big blanket user too. She just nuzzles her way under them.